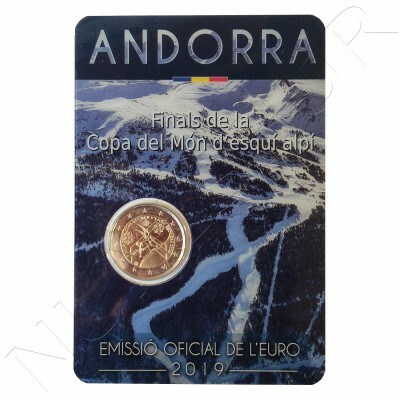 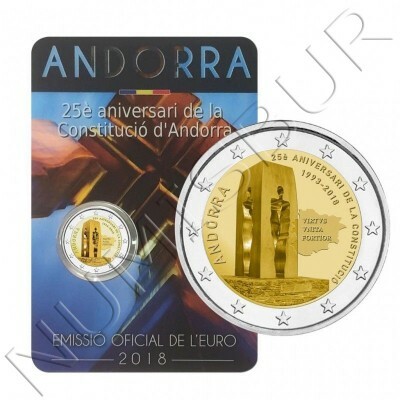 Country: ANDORRAFacial value: 2 eurosYear: 2019Weight: 8.5gDiameter: 25.75mmQuality: S/CMotive: End of the Ski World Cup..
Country: ANDORRAFacial value: 2 eurosYear: 2018Weight: 8.5gDiameter: 25.75mmQuality: S/CMotive: 25th anniversary of the Constitution..
2€ ANDORRA 2018 - 70 aniv. 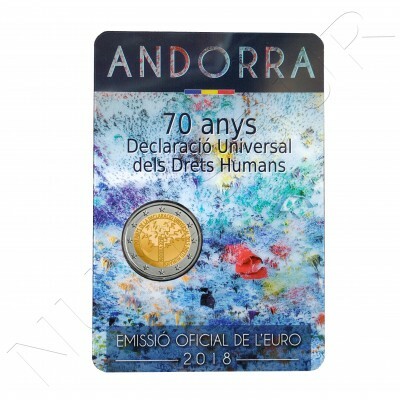 Universal Declaration of Human Rights. 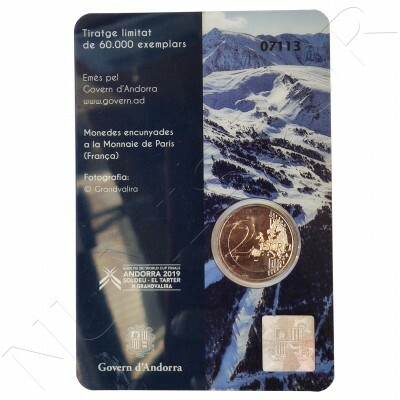 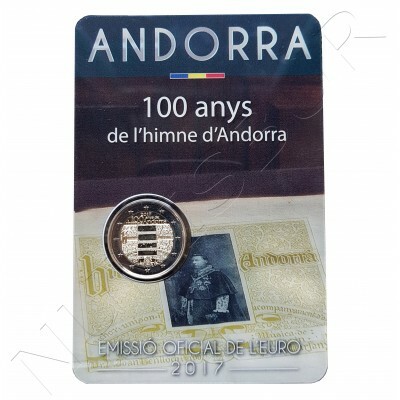 Country: ANDORRAFacial value: 3.88 eurosYear: 2018Quality: BU..
Country: AndorraFacial value: 1 , 2 centsYear: 2017Quality: S/C..
Country: ANDORRAFacial value: 2 eurosYear: 2016Weight: 8.5gDiameter: 25.75mmQuality: S/CMotive: 25 years of the radio TV..
Country: ANDORRAFacial value: 3.88 eurosYear: 2017Quality: BU..
Country: ANDORRAFacial value: 2 eurosYear: 2016Weight: 8.5gDiameter: 25.75mmQuality: S/CMotive: 150 years of the 1866 reform..
Country: ANDORRAFacial value: 3.88 eurosYear: 2016Quality: BU..
Country: ANDORRAFacial value: 2 eurosYear: 2015Weight: 8.5gDiameter: 25.75mmQuality: S/CMotive: 25 aniv. 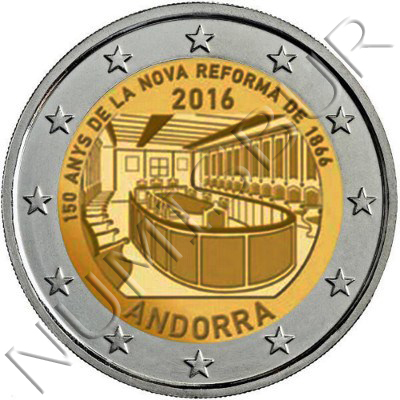 customs agreement with the EU..
Country: ANDORRAFacial value: 2 eurosYear: 2015Weight: 8.5gDiameter: 25.75mmQuality: S/CMotive: 30 aniv. 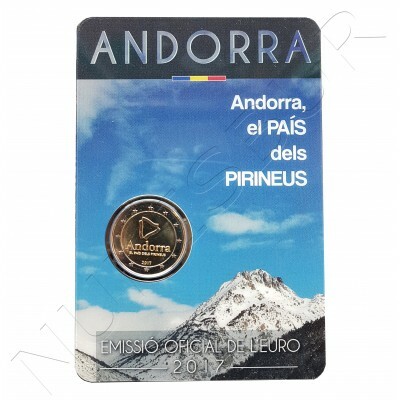 Recognition of age..
Country: ANDORRAFacial value: 3.88 eurosYear: 2015Quality: BU..
Country: AndorraFacial value: 1 , 2 centsYear: 2014Quality: S/CALREADY AVAIBLE..